Hi friends, I'm playing with more stuff from the Holiday catalog. 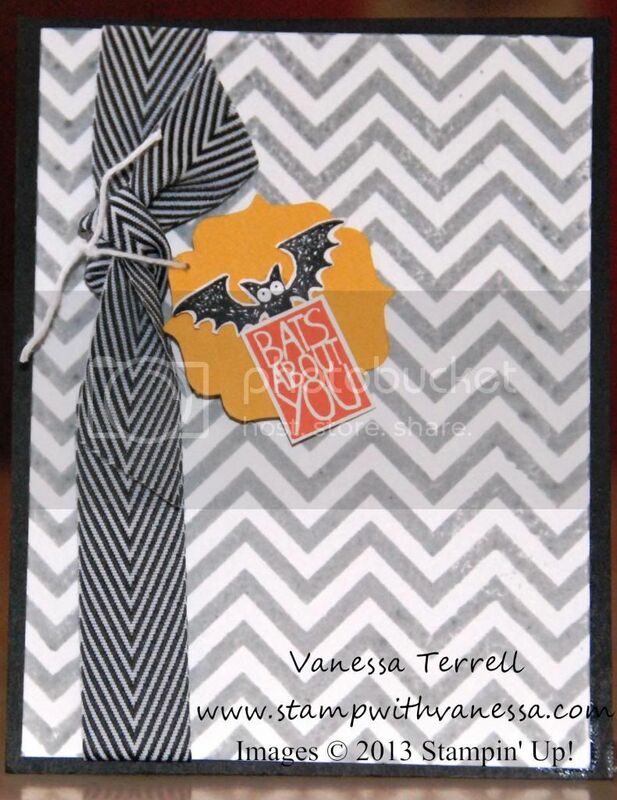 Today I made a card using the Halloween Hello stamp set. I know you think that it's too early to start making these cards...but in the blink of an eye Halloween, Thanksgiving and Christmas will be here...so you'll see more ideas coming your way! Very simple card today, but I used some fun products...I used the Positively Chevron background stamp set, the new Label Bracket Punch and Chevron Ribbon. Here's my card. 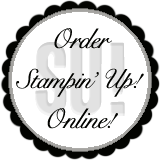 Labels: Halloween, Holiday Catalog, Stampin' Up!